I am behind the times. I don't live in my own generation. I'm still exploring revolutions and trends that have fallen out of fashion even before I entered this plane of existence. I am constantly making revelations that, when I look around, seem to be as familiar to every other member of this society as pre-conceived notions of the most obvious fashion. 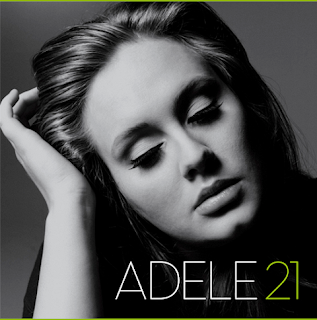 In this spirit, it was only today, four days after Adele's 2011 album 21 swept the 54th Grammy Awards, did I hear the second single off of this album. In fact, this is still the only song I've heard from this album, which is now set to claim the #1 spot on the Billboard charts for the 21st week since its release. And the only reason that even heard this on the radio today at all was that the battery on my iPhone was nearly dead. I couldn't find the cord to plug it in the night before. I generally listen to podcasts on the way to and fro work. However, today was different. To conserve battery for the day ahead I instead plugged the phone in to my car charger. I started scanning the radio for some amount of noise to fill my car while I made my way to my place of employment. I didn't even hear the whole song. I just caught the chorus. What I heard haunted me all day. This woman has got some pipes. And not only that, she has complete mastery over her given talent, somersaulting over and above herself at every turn. I couldn't see the waveform of the recording when I first encountered this song, but I felt that every corner of the possible aural spectrum was being utilized here. The content of the song is downright heartbreaking. She's obviously addressing an ex-lover who she still has deep feelings for. The chorus is simply a disingenuous send-off to this person, basically saying that she hopes in the future to match something she knows she will never see the likes of again. Haunting. To be fair, I did know who Adele was long before this moment. I remember seeing a VH1 interstitial interview with her a few years ago when her first album, 19, was released in 2008. I was intrigued by, again, the second single from that album, "Chasing Pavements". It was a memorable song, but the song didn't stay with me the same way "Someone Like You" is sure to. I cherish this moment. It will never come again. It will fade into memory. Adele is bound to change and I'll be surprised if she ever reaches this peak again. I wish I could freeze this feeling. I'm sure soul singers of the past have inspired such words. I wasn't around to see them in their prime. I couldn't witness Aretha Franklin or Etta James when they were fresh out the box. For once, I'm trying to savor the moment at the same time as everyone else. I hope for Adele's sake she does too.